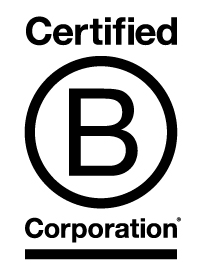 AFC Health Ltd is the first Bangladeshi company to be awarded as certified B-Corporation. There are over 1,300 Certified B Corporations from more than 120 industries in nearly 50 countries with 1 unifying goal – to redefine success in business. B Corps are important because they inspire all businesses to compete not only to be the best in the world, but to be the best for the world. Certified B Corporations meet higher standards of social and environmental performance, transparency, and accountability. It’s like Fair Trade certification but for the whole business, not just a bag of coffee (or USDA Organic certification, but not just for a carton of milk; or LEED certification, but not just for a building). The performance standards are comprehensive and transparent. They measure a company’s impact on all its stakeholders (e.g. workers, suppliers, community, and the environment). Unlike traditional corporations, Certified B Corporations are legally required to consider the impact of their decisions not only on their shareholders, but also on their stakeholders (e.g., workers, suppliers, community, consumers, and the environment).